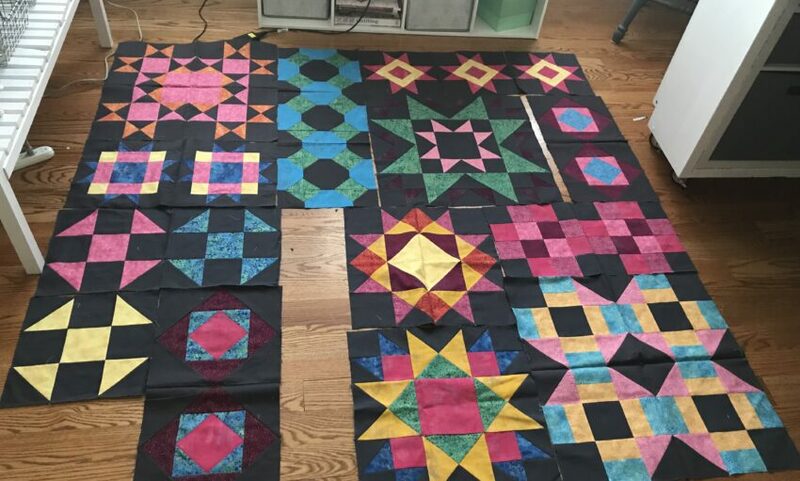 I followed along with Nina McVeigh for the Bernina Block of the Month from March 2017 through April 2018. 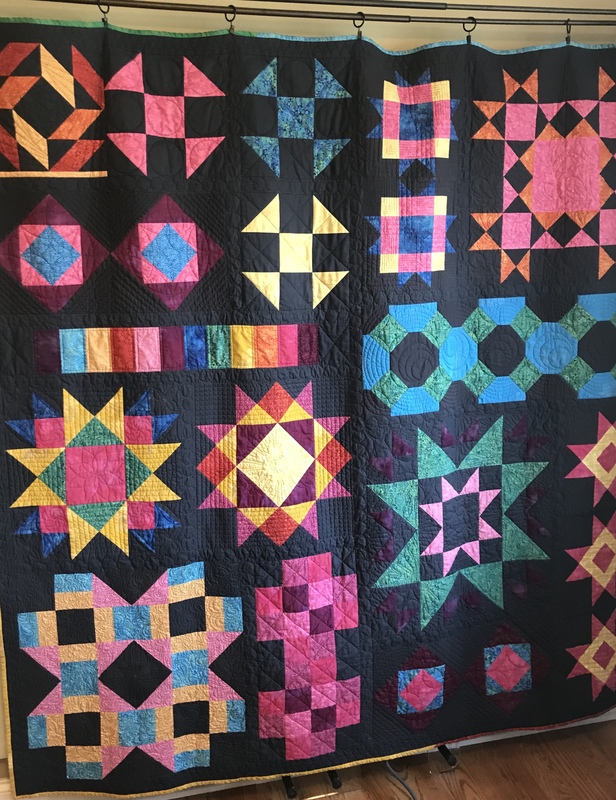 I was pretty much brand new to quilting when I saw the blog post for the Block Party quilt in 2017. Up to that point I had only made a couple of things and Nina wrote in the blog, “I have designed the BERNINA Block Party quilt to not only help you improve your piecing skills, but also as a way to showcase quilting techniques”. It was EXACTLY what I was looking for. 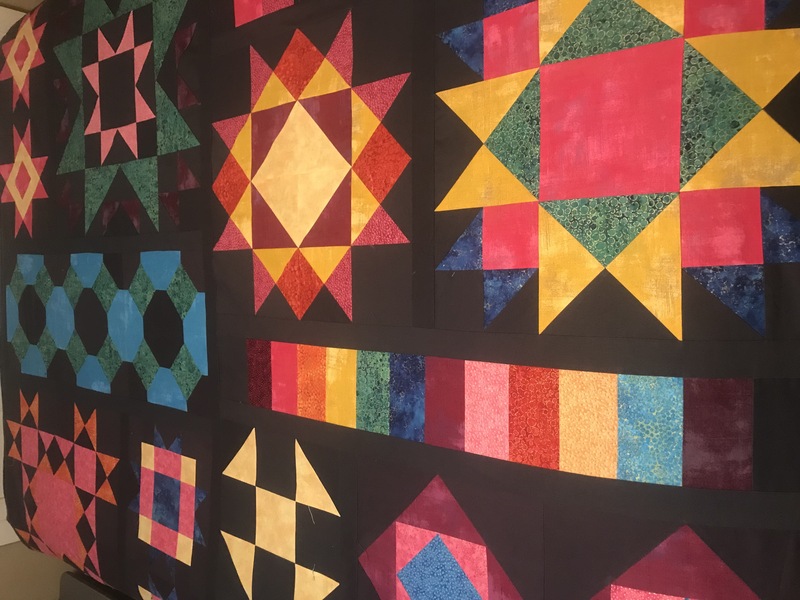 The quilt was modern looking, the pace was easily manageable, and I was going to learn the skills I needed and have an actual beautiful quilt in the end. I copied down the fabric requirements and made my way to my local quilt shop / Bernina dealer and picked out a mixture of Northcott Artisan Spirit and Moda Grunge fabrics in colors close to those in the original blog post and a medium gray Kona for the background. I was ready to go and anxious to get started. The first Monday of each month quickly became an anticipated event for me. 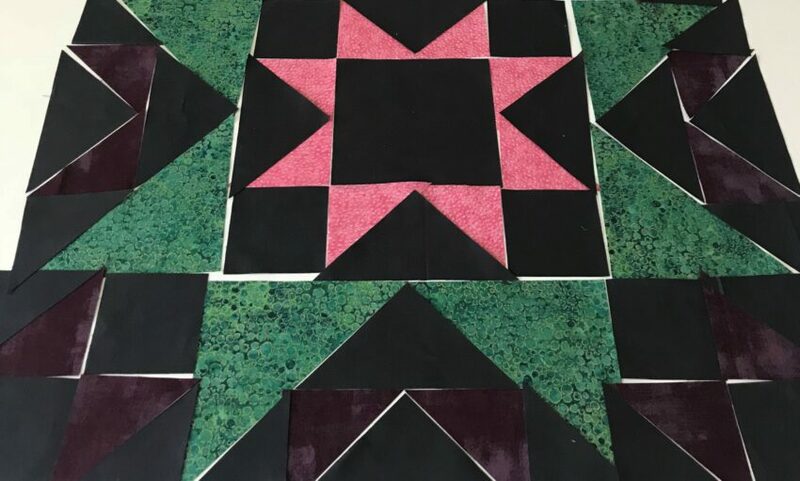 I wasn’t confident enough in my skills to cut right into my selected fabrics in the beginning so I made a practice block out of scrap fabrics for the first few months. By month four, I had enough confidence in what I had learned to dive right in. I was learning a lot about getting an accurate ¼” seam and matching seams and points. 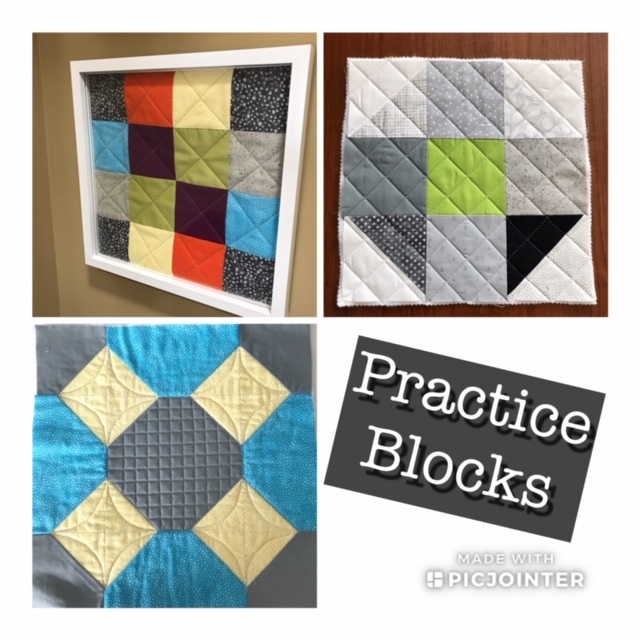 My skills had improved enough in just a few short months that I was able to work on other projects and practice some of the quilting skills outlined in the blog posts between first Mondays. I started to keep a journal of quilt projects that outlines start and finish dates, materials used, skills learned, frustrations, and successes. 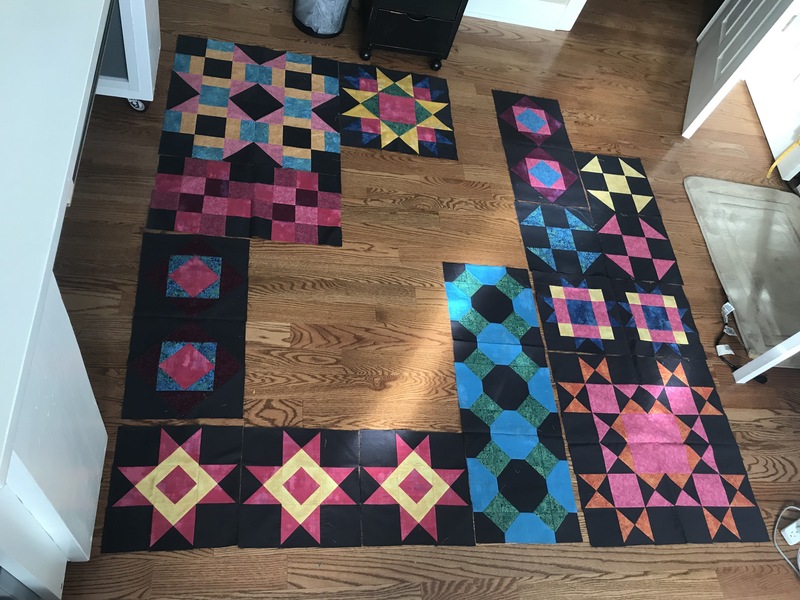 The Block Party quilt was my third quilt project started and the eleventh finish. 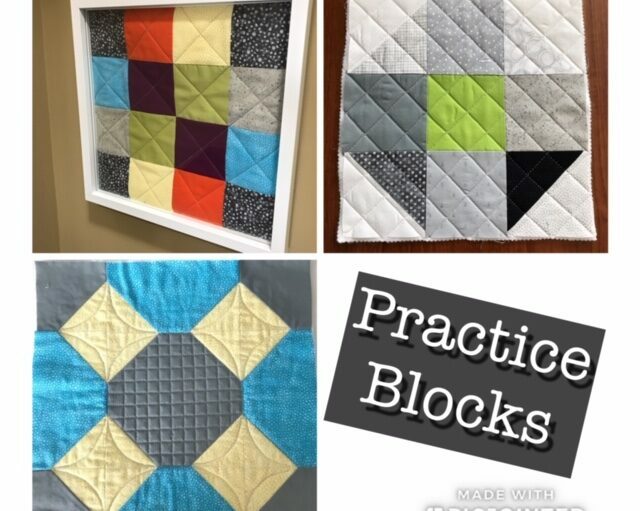 This block of the month quilt gave me the skills I needed to quickly become “a quilter”. 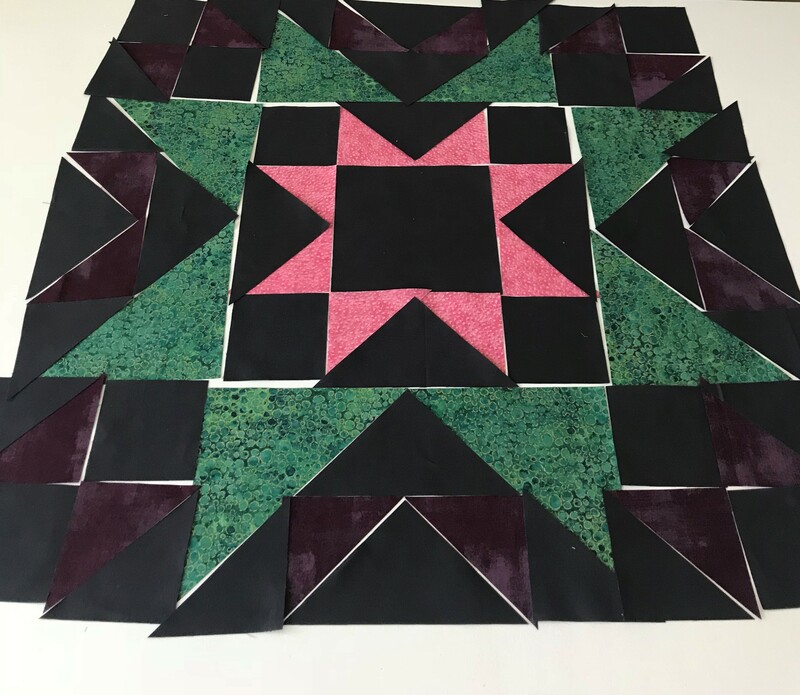 The quilt started out as a way for me to learn a new skill but I grew enough over the year to not only complete this quilt but several others and I was able to give my nephew and three nieces each a handmade quilt for Christmas last year. My oldest niece, 11, got the Block Party quilt and immediately put it on her brand new bed. 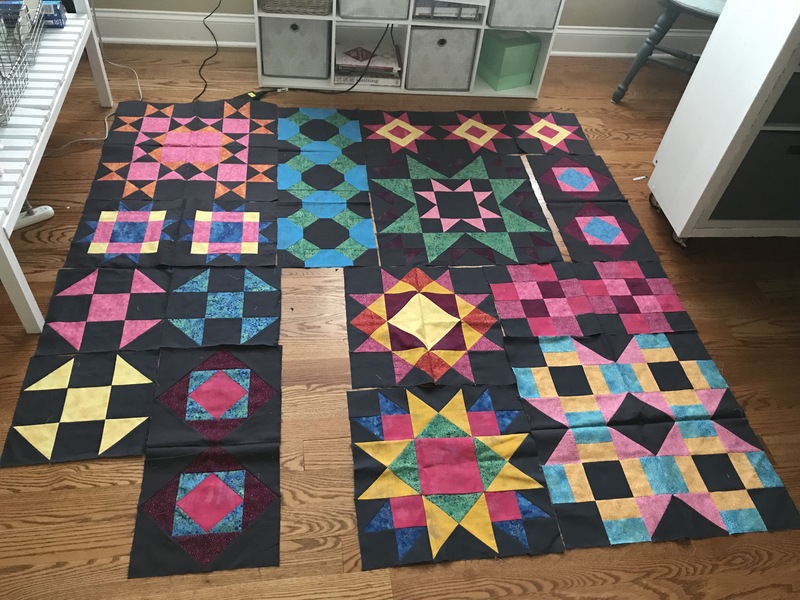 I can’t thank Bernina and Nina McVeigh enough for the block of the month Block Party! Thank you! 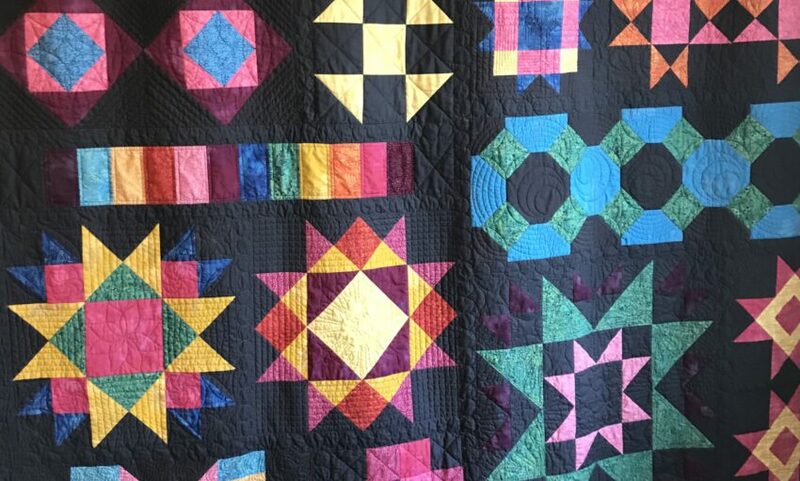 I a very happy with the results of this quilt and my niece loves the bold colors and touches of metallic. 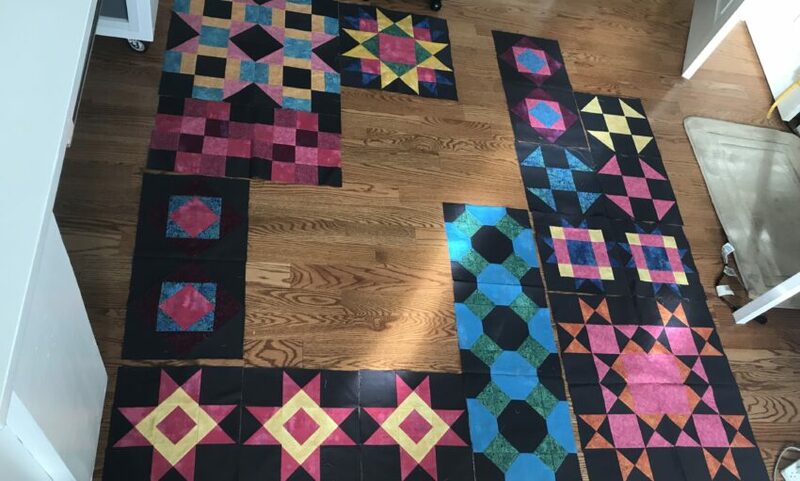 I have recently started making the Block Party of the Month quilt. 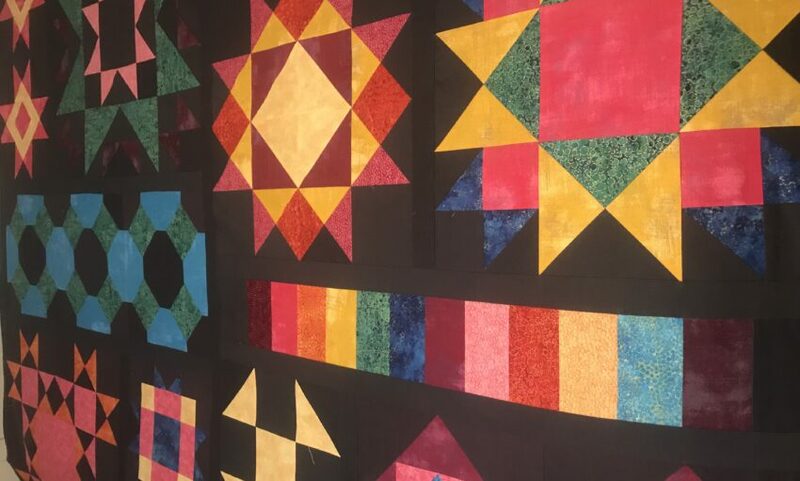 This quilt was introduced in 2017. I was not able to find the instructions for lessons 11 and 12. Can anyone help me with that? Thank you.